Which brings me back to the experience I had when I was looking for the perfect dress and how I’ll never forget the feeling I had when I’d finally found the one. Now you’ll find a lot of magazine articles and blog features on the mistakes NOT to make when looking for a dress, Do’s and Don’ts, RULES for a dress and honestly while some of it was good advise most of the helpful hints never worked for me. So I’d like to share my experience with you all and I promise you’re not alone when it comes to all the emotions we feel in order to say yes to the dress! Maybe I was asking too much but I really struggled to fall in love with a dress and it certainly wasn’t anything like my favourite American bridal store Kleinfelds who showcase thousands of wedding dresses on their infamous TV Show ‘ Say Yes To the Dress’ – side note if you’ve never watched this your missing out! 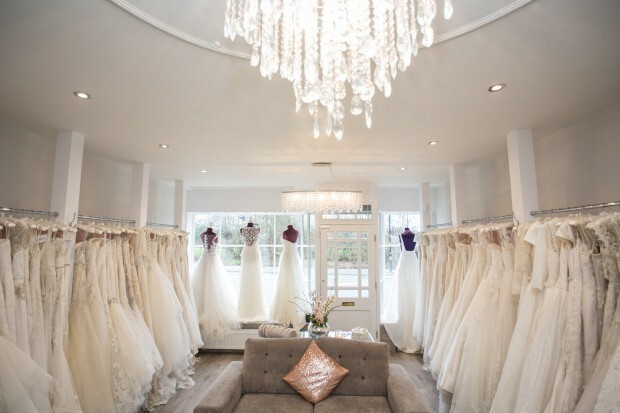 There’s no right or wrong time to start looking for your wedding dress although I find most brides start their search around the 12 month mark as this gives you plenty of time to look through different styles and then finally purchase without feeling rushed. 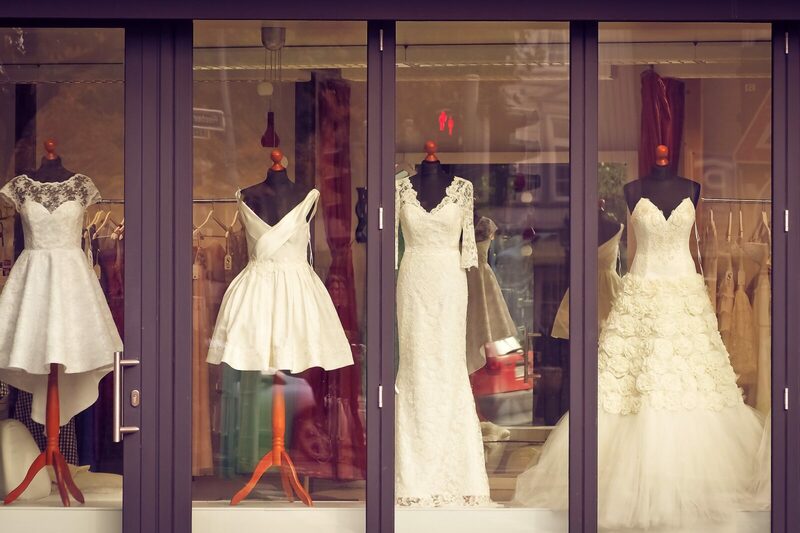 Although bridal shops will happily welcome anyone looking before or later than this, everyone’s circumstance are different so go with what works for you. The first wedding dress shop I visited was recommended by a good friend, a small boutique in a local village, who did one on one appointments so you had the whole store to yourself during this time which made it feel a little more personal. Now I thought I had an idea of what I wanted (and I partly stayed true to this) I’d done my research and being in the industry knew what designers were more my style, this really helps when choosing a bridal shop as most will only carry 5/6 different designers so if you know before even stepping in to the shop that you don’t like the designers they stock then choose somewhere you’ll only be disappointed when you don’t like any of them you try on! You don’t need to have a clear cut idea of the dress you’ve always dreamed of but if you’re looking for a satin dress (like I was) and the store only have lace then your already putting up hurdles. Don’t limit yourself to one style… this is something I had to repeatedly tell myself over and over when I went shopping. If you’d asked me two years ago what my dress would look like id have told you I wanted a satin or tulle ball gown, that’s not what I ended up with, and as much as I tried I just couldn’t fall in love with myself in this style dress, I felt like I was pretending to be a bride and finally when I found the one it still took me a little while to ‘let go’ of this perfect princess image I’d had in my head since I was a little girl. Looking for the ultimate bridal feeling the designer I had in mind ‘Badgley Mischka’ only sold their dresses at 8 locations across the UK, so I knew was pushing my luck but ‘The Harrogate Wedding Lounge’ & its sister store ‘Bridal Collection Harrogate’ were the closest who stocked them and a saving grace. 5 shops and around 40 dresses later this is where I found THE ONE! Trust me you’ll know when you find it (and don’t worry if you don’t get all emotional some of us just aren’t criers! Ha ha) This was the first dress I tried on in THWL and I immediately loved it. But honestly I was still a little hesitant to say YES. I think this was more to do with not wanting the experience of finding a dress to be over, rather than not being able to commit to a dress. And that’s OK your allowed to be indecisive it’s the most important dress you’ll ever buy… but if it’s the right one you’ll feel completely at ease, confident and like a shining star in your dress, there are no words to describe how much I love my dress, It makes me smile from ear to ear every time I think about my gown and that’s the reaction you want for yourself!! So go out and have fun, this shouldn’t be a stressful experience and if you don’t find your dress in the first, second or even third shop don’t give up hope and don’t just settle because everyone else loves a dress you’re unsure of. 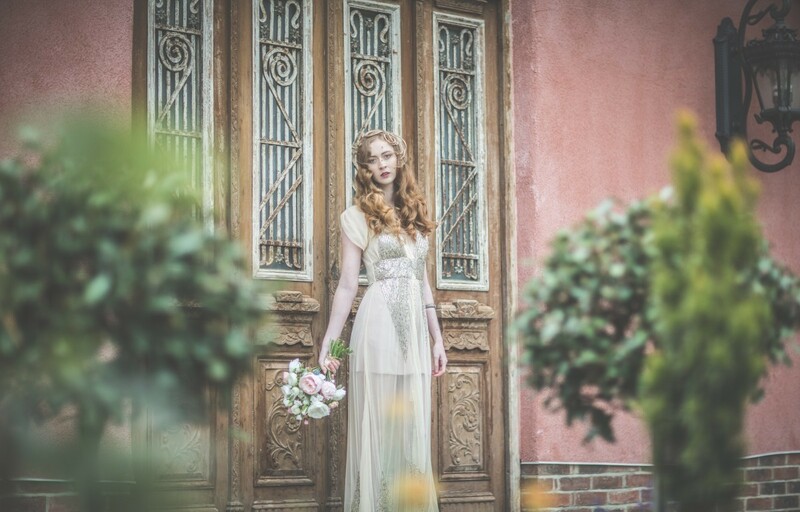 When it comes to wedding dresses there’s an Aladdin’s cave of beautiful styles just waiting to be opened.